We have decided that the threshold level of qualification for entry to the Register for paramedics should change from 'Equivalent to Certificate of Higher Education' to 'Bachelor degree with honours'. This change does not directly affect existing registered paramedics, or learners part way through pre-registration education and training programmes. This change applies only to pre-registration education and training programmes and not to individuals. We no longer accept new applications for approval of paramedic programmes that are delivered below degree level. From 1 September 2021, we will withdraw approval from existing programmes delivered below the new threshold level. They will not be able to take on any new learners. I currently deliver approved paramedic programmes below the new threshold at Certificate, Foundation and Diploma levels. Will you be withdrawing approval from them? The change to SET 1 means all approved programmes delivered below the new threshold will be phased out, with approval being withdrawn from 1 September 2021. Education providers will not be able to take on any new students from this date forward. Our Education and Training Committee will meet over the next two academic years (2018-19 and 2019-20) to formally withdraw programme approval. We will contact all education providers separately to discuss this process in more detail in the future. I know my paramedic programme will be closing in the future, as a result of the change to SET 1. What do I need to do now? 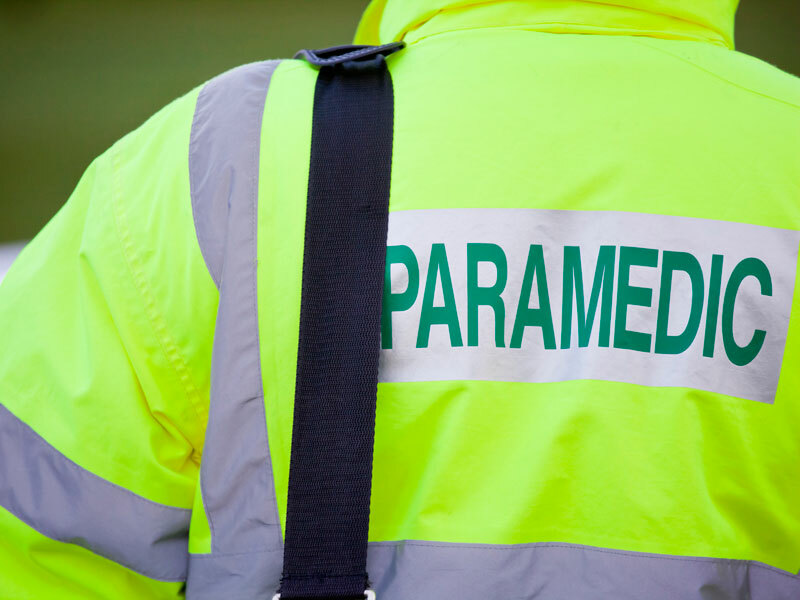 We will shortly be in contact with all paramedic education providers, including those in the progress of seeking approval from us, to discuss the Council’s decision in further detail. Plans to close entry to approved programmes delivered below degree level (i.e. at Certificate, Foundation, Diploma, or equivalent), and indicative timescales associated with this. Plans to seek approval from us to deliver new degree level programmes, and the intended start date for any learner cohorts. Plans to change approved degree level programmes to accommodate increases in learner cohort sizes and intakes to support the workforce transition to degree level only training routes. Plans to change the entry requirements of approved degree level programmes to introduce new learning pathways based on the accreditation of prior learning and experience of suitable applicants. This information will ensure we can effectively support education providers and employers through the transition to degree level training routes only, being offered from 1 September 2021. My paramedic programme to be delivered below the new threshold level, is currently being assessed for approval. Should I continue with the process? The change to SET 1 does not affect the ability to have your programme approved, subject to meeting all the requirements of our education standards through the approval process. However following approval, your programme along with all others delivered below the new threshold level will be phased out with approval being withdrawn from 1 September 2021. You will not be able to take any new students from this date forward. We will be in contact with you shortly to discuss your future plans around closing the programme. I'm considering running a new paramedic programme delivered below the new threshold level. Can I apply for approval? We will stop receiving applications for the approval of programmes delivered below the threshold from 22 March 2018. You will be withdrawing approval from my programme as a result of the change to SET 1. Should I continue to engage with the HCPC's monitoring processes in the meantime? Until we have formally closed your programme, we will require you to continue to engage with us through our annual monitoring and major change processes as normal. However, in the period between our decision to withdraw approval from your programme and 1 September 2021 (the date from which you will stop taking students), you will no longer be required you to engage with our monitoring processes. We will contact you in the future to confirm this at the appropriate time. Can I increase my learner cohort size and frequency on my Diploma and Foundation and Bachelor degree programmes to manage the transition to degree only training in the future? We will require you to continue to engage with us through our annual monitoring and major change processes as normal. This would include notifying us of significant changes to the number of learners and cohorts you are currently approved to deliver. We will assess these changes appropriately through our processes. However in relation to your programmes delivered below the new threshold level, in the period between our decision to withdraw approval from and 1 September 2021 (the date from which you will stop taking students), you will no longer be able to make any significant changes which impact on how our standards are met. My paramedic programme does not meet the requirements of the Quality Assurance Agency’s (QAA) Framework for Higher Education Qualifications (levels 6/9/10). Will you withdraw approval from my programme? The change to SET 1 means all approved programmes delivered below the new threshold level will be phased out, with approval being withdrawn from 1 September 2021. Education providers will not be able to take on any new students from this date forward. This includes any programmes currently approved which do not meet the requirements for degree awards as set out by the QAA framework. Can I seek approval for a new degree apprenticeship paramedic programme? You would need to complete our approval process and in doing so meet all our required education standards. More information around the approval of new programmes can be found here. Does my paramedic programme need to meet the revised standards of education and training? Until we have formally closed your programme, we will require you to continue to engage with our annual monitoring process. This means all programmes will need to meet the requirements of our revised SETs in the 2018-19 and 2019-20 academic years, through their next audit submission. Any new programmes will also be assessed against these standards for approval. More information about the revised standards can be found here.